Godfrey was born in Zimbabwe into a poor household. During his childhood, poverty deprived him of many opportunities, including the best education. He says “the deprivation, rejection, low self-esteem and the jaws of poverty that I was trapped in made me dedicate my life to fighting poverty in our African societies”. 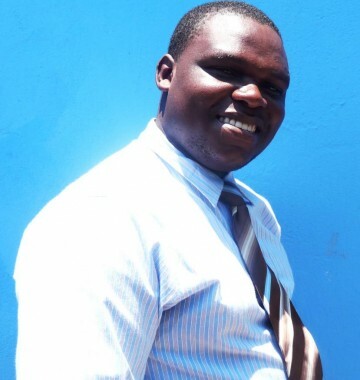 Determined to set this in action, Godfrey now holds a Diploma in Education from the University of Zimbabwe, a Diploma in Information Technology and is currently studying for a BSc Honours Degree in Development Studies with Zimbabwe Open University. Godfrey’s passion is to help break the poverty cycle in Africa and see sustainable developmental approaches implemented throughout the continent. His vision: “A world full of love and without war and other belligerent forces that work against humanity. A world where people will be given equal opportunities regardless of their race, gender or disability and a world where human life is valued”. Godfrey hopes to bring positive change to communities in Mozambique through leading initiatives through which people are able to empower themselves. Godfrey was introduced to Lifeline by the late Anacleto Luis Ferrao, who shared the vision of Lifeline with him, and the intention the network had to empower communities and help them break the poverty cycle. This vision resonated with Godfrey’s own, and he felt passionate about becoming an active member of the network. Godfrey is now coordinating all Lifeline initiatives in Mozambique. He is involved in various community empowerment initiatives and conducts developmental research for various NGOs in Mozambique and Zimbabwe. He is planning to develop a concept that enhances community development especially in rural and marginalised areas of Mozambique, by delivering literacy and numeracy training.